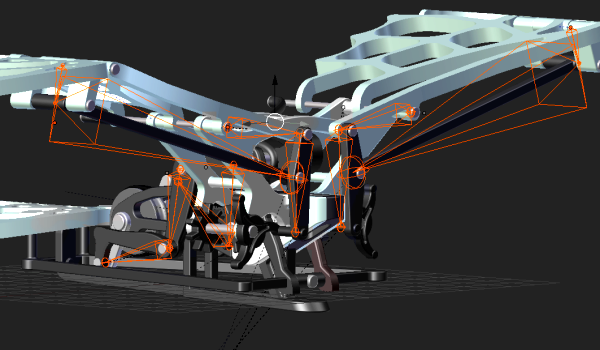 This nice flapping-wing flying machine was designed by Nicolas Marc. It is his personal interpretation of da Vinci’s ornithopter flying machines. You can check his work on this website. I have rigged his model in Blender using bones.